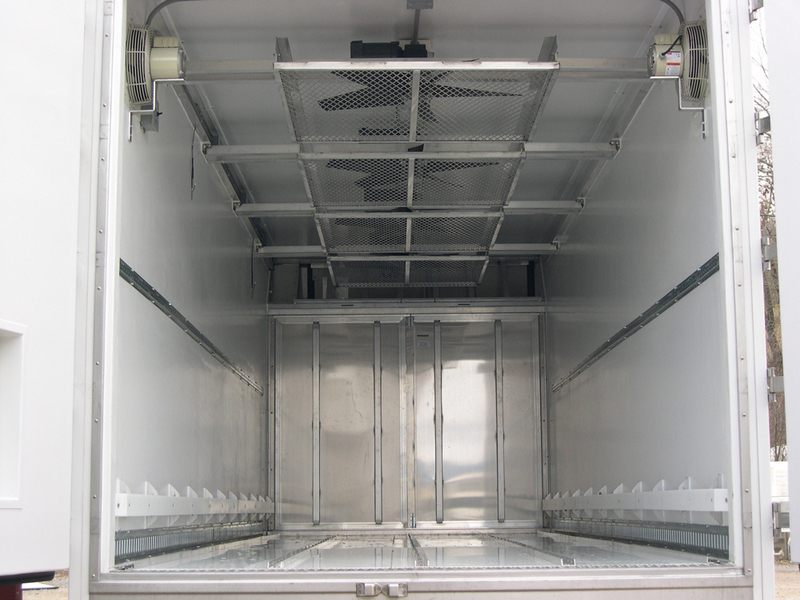 Truck Bodies | Smithway Inc.
Smithway builds bodies ranging from 10 feet to 32 feet in length. Our biggest export unit, although used in the States as well, is our Truck Body system. We team up with Johnson Truck Bodies, who incorporate the design of their polar insulated units into our Smithway bodies. Providing the maximum available insulation package insures that the exterior elements stay on the outside, while your chicks stay protected in the inside by Smithway’s patented system. 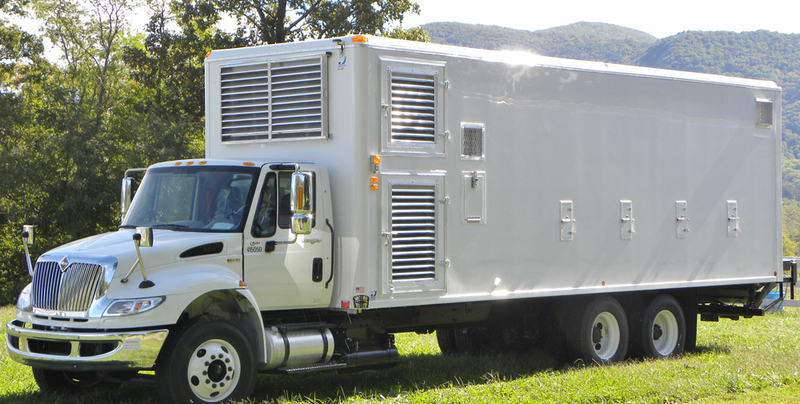 As with our trailer systems, these bodies all offer two generators, air conditioning, electric heat, and are all programmed and logically controlled. During export applications, the bodies are simply placed on cargo ships and then mounted to the customer’s chassis once it arrives at port. In domestic, Canada, or Mexico sales, the customer’s chassis can be delivered directly to Johnson’s plant for installation if preferred.